Then Rebekah is called to cover the story of a murdered Hasidic woman. Rebekah's shocked to learn that, because of the NYPD's habit of kowtowing to the powerful ultra-Orthodox community, not only will the woman be buried without an autopsy, her killer may get away with murder. Rebekah can't let the story end there. But getting to the truth won't be easy - even as she immerses herself in the cloistered world where her mother grew up, it's clear that she's not welcome, and everyone she meets has a secret to keep from an outsider. There is so much packed into Dahl’s scaled-down narrative: the murder (not a spoiler), the contrast between what is taught in journalism class and the reality of boots-on-the-ground reporting, the tacit acceptance of lowest-common-denominator tabloids versus lofty journalistic ideals, the whole motherless child vibe that thrums within Rebekah’s psyche, and the relevance of ultra-conservative, misogynistic religious communities. Indeed, perhaps the only flaw in Dahl’s debut is a few scattered lengthy passages that tend to bog the plot. (Reviewed by Donna Chavez). A fascinating portrayal of a young woman coming to terms with her heritage while negotiating an unknown world. 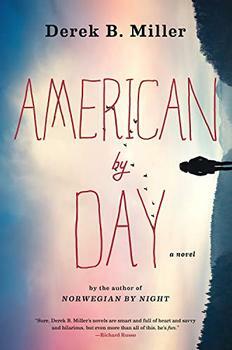 This novel is particularly notable for its combination of a skillfully wrought, increasingly suspenseful mystery populated by well-drawn characters and a deeply sympathetic understanding of a contemporary culture that remains insular for its own understandable reasons. Journalist Dahl’s debut sets a high bar. In her gripping debut mystery, veteran journalist Dahl creates an intriguing protagonist seeking justice for a victim's family as well as the truth about her own origins. Starred Review. Dahl's convincing dialogue and perfect pacing make for a real page-turner. And her storytelling skills illuminate the intriguing worlds of the tabloid press, Hasidism, the NYPD, and Brooklyn's 20-somethings - as well as the fragile boundaries of family, religion, and life itself. An absolutely crackling, unputdownable mystery told by a narrator with one big, booming voice. I loved it. A smart, tightly-wrought page turner and one of the finest depictions of beat journalism I've read...This lucid, illuminating gem is an outstanding debut. 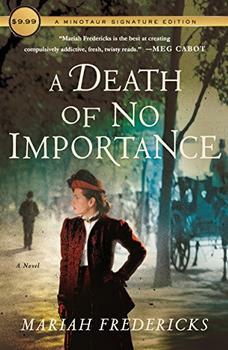 Julia Dahl is a veteran reporter, and her debut novel reads like the work of a seasoned pro. She knows this world inside out, and the result is a tense tale written in prose that crackles and pops.